Miss Daisy had a really fun time at the Westtown Competition on the weekend of March Tenth. 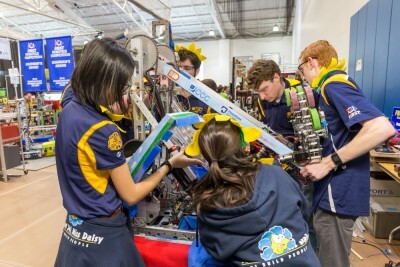 Even though several parts of the robot repeatedly broke or were damaged during the first day of the competition, the pit crew scrambled to make major fixes and worked through it. 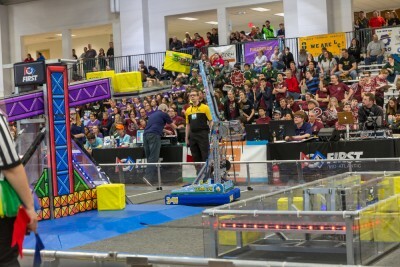 While the team performed well with team 1640 and 4373 during the playoff matches, the alliance was defeated in three games during the semi-finals. Miss Daisy placed 23rd out of all the teams present due to a 6-6 record from the qualification matches. But no shadow can exist without light, and Miss Daisy certainly had her shining moments. 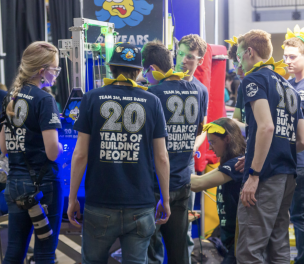 Our valiant pit crew worked diligently to ensure the robot was ready for each match, Miss Daisy underwent some much-needed fixes to increase her robustness, and her performances after the first four matches were extremely impressive. The drive team was constantly communicating while the crowd loudly cheered them on. 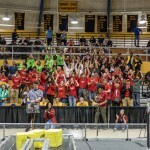 This led them to a 6-2 record in the last eight qualification matches. Much to the delight of the climber subsystem’s members, Miss Daisy hung several times on Sunday. 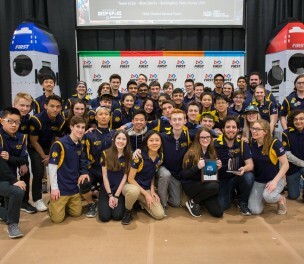 From an individual standpoint, the team had excellent performances during the competition. But at the end of the day, everyone was still thinking of what we could have done to get the elusive Blue Banner. With the team’s next competition less than a week away, we have been working to make Miss Daisy game-ready for Montgomery District. Continuous improvement is the name of the game, and we do not want to fall behind. 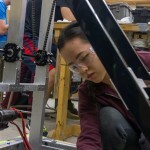 The robot’s hanger is being radically improved, the arm is gaining more structural stability, the autonomous capabilities are increasing exponentially, and the intake group is looking to optimize its functionality. 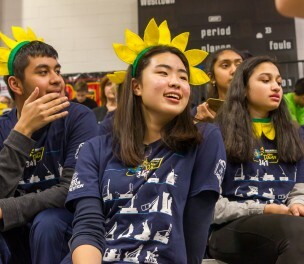 All flowers crave light, and Miss Daisy has her eyes trained on the spotlight of winning this weekend’s competition. Prepare yourself MAR. Miss Daisy is about to power up!